Why I Play series... inspiration and information from musicians as they discuss their tools and craft. 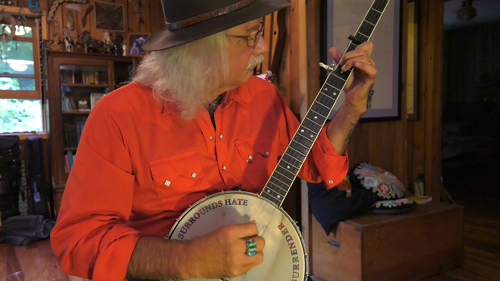 Rik Palieri has been playing the longneck banjo for as long as he can remember. Hear him talk about the instrument and play several examples including excerpts of his orginal instrumental Marfa Lights, traditional tune June Apple, Good Morning Blues and others.